Cat (Kristin Kreuk) and Vincent (Jay Ryan) will be forced to work together as a couple in ways they never have before if they hope to defeat their destined foe in Liam (guest star Jason Gedrick), who will do everything he can to expose Vincent as a beast in order to destroy their love. Are you excited for more BEAUTY AND THE BEAST? Comments Off on The CW Announces Summer 2014 Schedule, Including Return of BEAUTY AND THE BEAST, and New Night for WHOSE LINE IS IT ANYWAY? The CW has announced its summer lineup, which includes new unscripted shows, comedies, and new episodes of WHOSE LINE IS IT ANYWAY? and BEAUTY AND THE BEAST. BEAUTY AND THE BEAST returns tonight! 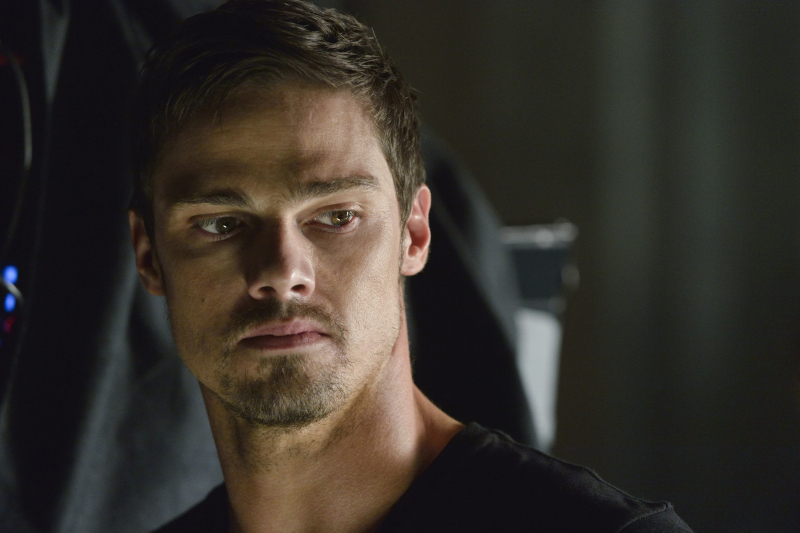 Beauty and the Beast -- “Who Am I?” -- Image Number: BB201a_0104.jpg - Pictured: Jay Ryan as Vincent - Photo: Ben Mark Holzberg/The CW -- © 2013 The CW Network, LLC. All rights reserved. BEAUTY AND THE BEAST’s new season kicks off tonight at 9 PM on The CW.